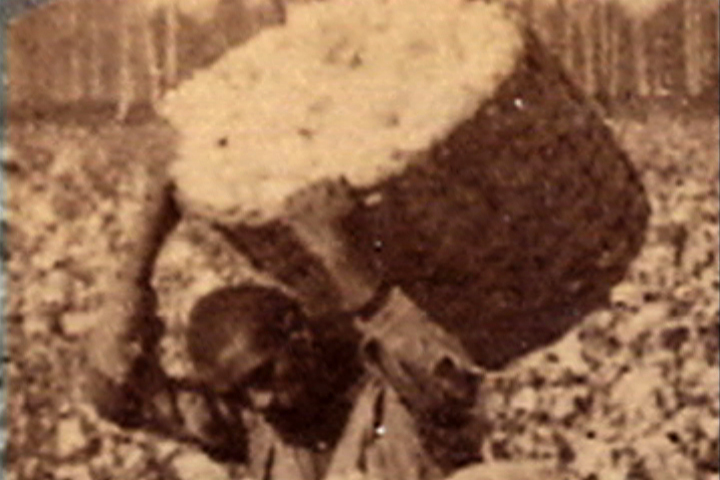 Jacobs uses a Victorian stereograph of slaves picking cotton under the watchful eye of a white overseer as the source for this wrenching silent work. Through computer animation, Jacobs creates a haunting illusion of depth and movement. It is as if he has "entered" the image and reactivated this historical moment.